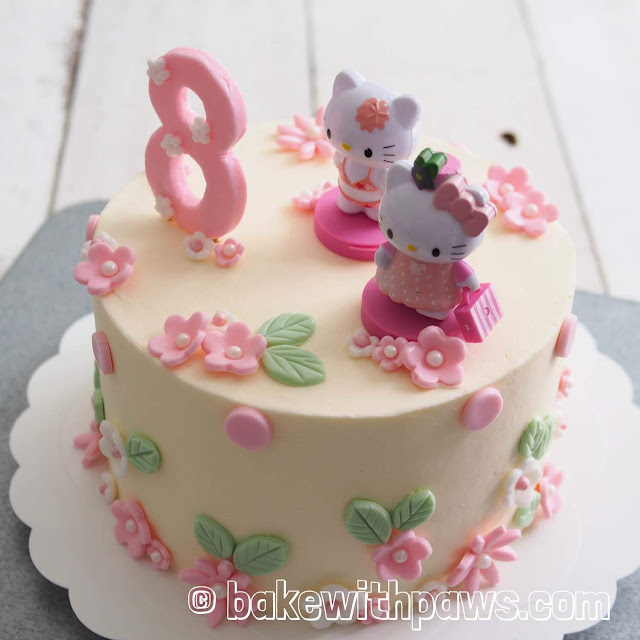 I baked this Hello Kitty Cake for my niece 8th birthday recently. 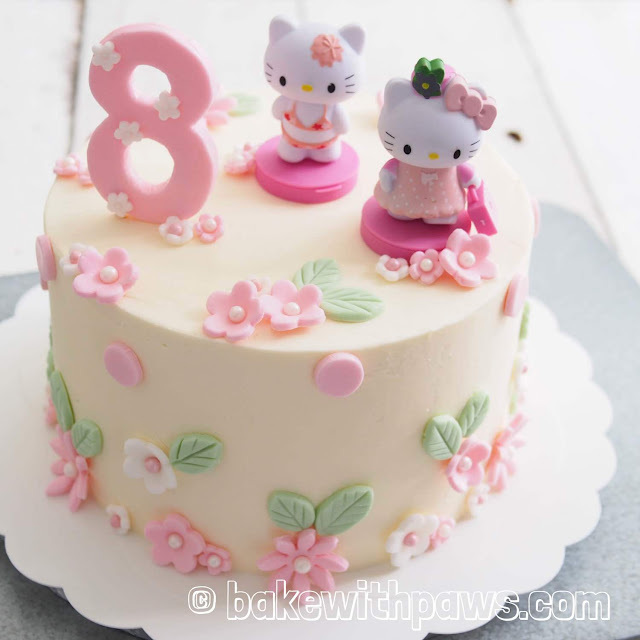 Four layers of butter sponge round cake with Swiss Meringue Buttercream icing, fondant decorations and Hello Kitty cake toppers. 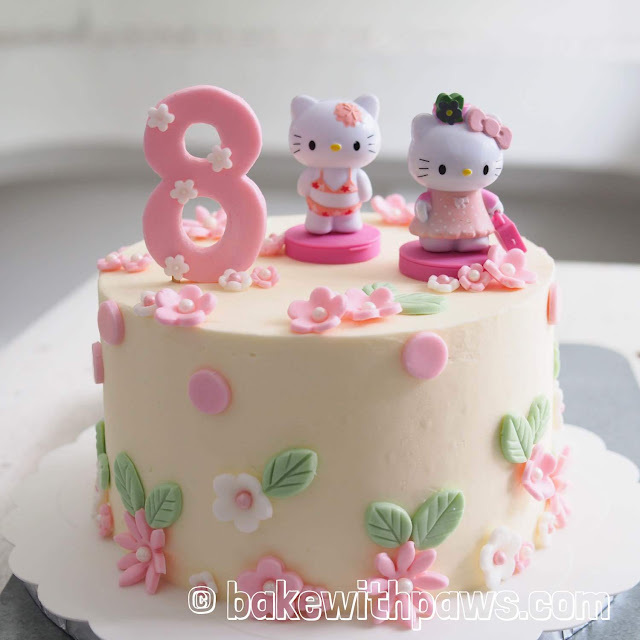 For Butter Sponge Cake recipe, please click here.